Dr. Robin Yuan is an admittedly 'old-school' plastic surgeon in the heart of Beverly Hills with a staff of one and no marketing. Dr. Robin Yuan was a founding member of of the Cedars-Sinai Craniofacial Clinic and the Cedars-Sinai Breast Center, and is an active member of the American Society of Plastic Surgeons, the California Society of Plastic Surgeons, the Los Angeles Society of Plastic Surgeons. He was kind enough to sit down and share his thoughts on cosmetic medicine. Name: Robin T.W. Yuan, M.D. 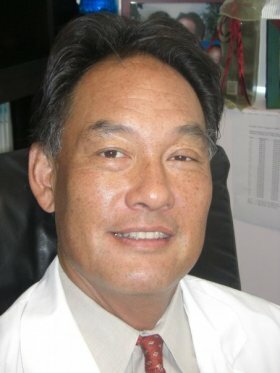 That's interesting: Dr. Yuan is a member of the newly-formed American Society of Bariatric Plastic Surgeons and was recognized as the Best Plastic Surgeon in Beverly Hills last 2011. His new book, Behind the Mask, Beneath the Glitter: The Deeper Truths About Safe, Smart Cosmetic Surgery is available on Amazon.com. He was one of the original participants in the hit TV show, Extreme Makeover. Please share the path you chose which led you to plastic surgery. Cosmetic surgery is a natural extension of basic plastic surgery. The reconstructive and the cosmetic patient/problem is a continuum and my reconstructive experience naturally evolved and grew into a more cosmetic practice. What separates the two fields is a perception by the public, the definition of medical necessity and financial obligations as set by the insurance industry, and the psycho-emotional mind set of the patient. In my practice, I strive to make my reconstructions as cosmetic as possible and my cosmetic results as normal in form and function as possible. The aspect of cosmetic surgery that I find to be most challenging and interesting is to get into the head of the patient and see the world through his or her point of view. This also requires getting the patient to project what will specifically make the surgery beneficial to them and then for me to customize a plan to achieve that. Although the surgery itself is fun to do, it is the pre-op planning that is the most interesting essence of cosmetic surgery. The principles of plastic surgery outlined by my mentor, Dr. Millard, is as applicable in cosmetic surgery as it is in reconstructive surgery. How did you start your career on cosmetic surgery? Can you tell us more about how you run your clinic? I am a contrarian in the way I run my practice. When I first started out, I was associated with two more senior plastic surgeons. They had one of the biggest and most reputable practices in Los Angeles. Over my four years with them, I formulated certain ideals. One was to be in complete charge and have knowledge of everything that goes on. My practice and patients are my sole responsibility. I have always had just one dedicated administrative employee. I do my own dressing changes, suture removal, and consultations. I run my clinic like a mom and pop store where patients get completely personalized and customized treatment and service. I see myself very much like a solo artist who gets conmmissioned to do a work of art. As a result, patients get every bit of important information from my own mouth and have prolonged one-on-one interaction time with me. My office is in the heart of Beverly Hills. Because of my extensive experience caring for patients of all ages, with a large variety of problems from the top of the head to the soles of their feet, I am able to offer an array of procedures from facial rejuvenation, rhinoplasty, breast, and body contouring in addition to reconstructive procedures for breast cancer, skin cancer, and congenital deformities. In addition, I have an esthetician with her own skin care practice that is housed in my office. My whole goal is to provide quality, not quantity. What are your thoughts on staff management? How do you decide on the salary and compensation of your staff? I’ve learned to be as self-sufficient as possible. The more employees you have, the more potential problems and issues. It is rare to have really bright, proactive, dedicated employees that will stay with you for a long time and who will treat your practice like their own. I have seen the problems with delegating too much to too many employees. So I have kept things very simple by having one multitasking employee in the front office. Except for simple local procedures in the office, all surgery requiring sedation or general anesthesia is done at a few local surgery centers so I have no need to carry employees, overhead, or accreditation responsibilities. That removes a huge headache. It allows me the freedom to leave town without the stress of an empty operating room. My view of what I do is to spend a lot of one-on-one consultation time with individual patients, customizing their surgery, bring them into a safe operating environment, do my surgery, take care of them post-op, and collect my fee. It is conceptually very simple and the only one that can and should do all that is me. My employees through the years have only been paid a straight salary including allowance for health insurance and car allowance. Retirement benefits are vested after a certain period of employment. There are no commissions paid except on products sold through the esthetician. Generally I have had wonderful employees but they join me when they are relatively young and eventually want to spread their wings so it is hard to keep them for more than a few years. Having a lean staff certainly helped during the economic downturn. Do you own laser devices in your clinic? How will these non-surgical technologies impact cosmetic surgery? I am first and foremost a surgeon. As such, I am somewhat old-fashion in not embracing a lot of the current technology in my office. When I need a laser, usually a CO2 machine, I will lease it. I see a major problem with cosmetic laser technology in the way it is marketed directly to consumers. It places the doctor in the uncomfortable position of having to respond to a business environment, rather than making technology subservient to our needs. There are few technologies that have withstood the test of time and thus it is difficult to embrace a machine costing tens, if not hundreds, of thousands of dollars and then try to justify its use when it becomes obsolete or less popular or less ideal than newer models. I try not to get caught up in all the hype. If a patient is a good candidate for some specific technology, I prefer to refer that patient out. I stick to the surgery I know how to do and am good at. Often experts in current technologies have the luxury of access to multiple modalities, but this does not translate at all to the normal practitioners who do not have the budget nor volume to support half a dozen machines. I also do not want to own a machine just to make money. If I was only interested in making money, I’d open a McDonald’s franchise. While there is some value in a one-stop type of shopping, I think there is also a risk when one gets too far afield from one’s expertise. Let surgeons do the surgery and the dermatologists treat the skin. Once we have machines to replace the surgeries we do, I will have no interest in being a plastic surgeon. It would be like having a violinist hum his music. What's your strategic marketing plan? Again, I am old-fashioned. By far the best patients that come to me are referred from other doctors. Over 90% of my new patients are referred from doctors in the community. I keep these doctors informed of my treatment ideas and services, and I try to maintain excellent communication with them. This way, I only need to market to a few key doctors. Every patient under their care is a potential referral. One doctor becomes the conduit for thousands of potential patients, all without spending any advertising dollars. I am generally not impressed with all the advertising and marketing efforts doctors make. You end up spending a lot of money competing on the same level as a lot of other doctors and you need to maintain a level of financial commitment to keep the referrals coming in. In essence, you end up working for the marketing budget. Cosmetic surgery is a zero-sum game. Advertising is only a way of competing with your fellow surgeons for patients who are not “in the know.” The people “in the know” know where to go. What treatments are often sought by your patients? Facial rejuvenation patients are the highest revenue source per case and thus the most profitable. Other surgical procedures like body-contouring have high net margins. Breast augmentation is less profitable because of the amount of time I spend with the patient planning the surgery and informing them of all the risk and complication contingencies, and it is the most cost-sensitive to competition. Injectables are almost freebies that I do predominantly for existing surgical patients. What stories can you tell about practicing cosmetic medicine? Most of what I have learned is revealed in my book, Behind the Mask, Beneath the Glitter: The Deeper Truths About Safe, Smart Cosmetic Surgery. There are so many misconceptions about our field and what we can do. Surgeons also can be led astray by all the extraneous “noise” that goes on cosmetic surgery, from celebrity mishaps, to premature news stories, to hyped-up marketing of new technologies. There are a number of illustrative stories that I tell in my book without revealing actual names. What the most valuable lesson you've learned as a doctor? Be true to yourself, spend time with patients as if you are a real doctor, and don’t let the business of surgery interfere with your medical mandates and humanistic instincts. My most recent book, The Skinny…on Marriage: A Plastic Surgeon’s Practical Guide, was written to help people have successful marriages, but the template comes from my relationship with cosmetic surgery patients. I think some surgeons can take away some valuable points about how to treat patients from this book. To me, it’s all about the relationship. About: I received my A.B. and M.D. degrees at Harvard, followed by my general surgery residencies at UCLA and Cedars-Sinai Medical Center in Los Angeles. After a year of plastic surgery research at UCLA, I took my plastic surgery training with Dr. D. Ralph Millard, Jr. in Miami. I have been in private practice in Beverly Hills and am an assistant clinical professor at UCLA. My practice was predominantly reconstructive, being in on the ground level formation of comprehensive multidisciplinary breast cancer and craniofacial clinics as well as involvement in all types of extremity, spinal, and cranial reconstructions. Currently my practice is over 50% cosmetic surgery.